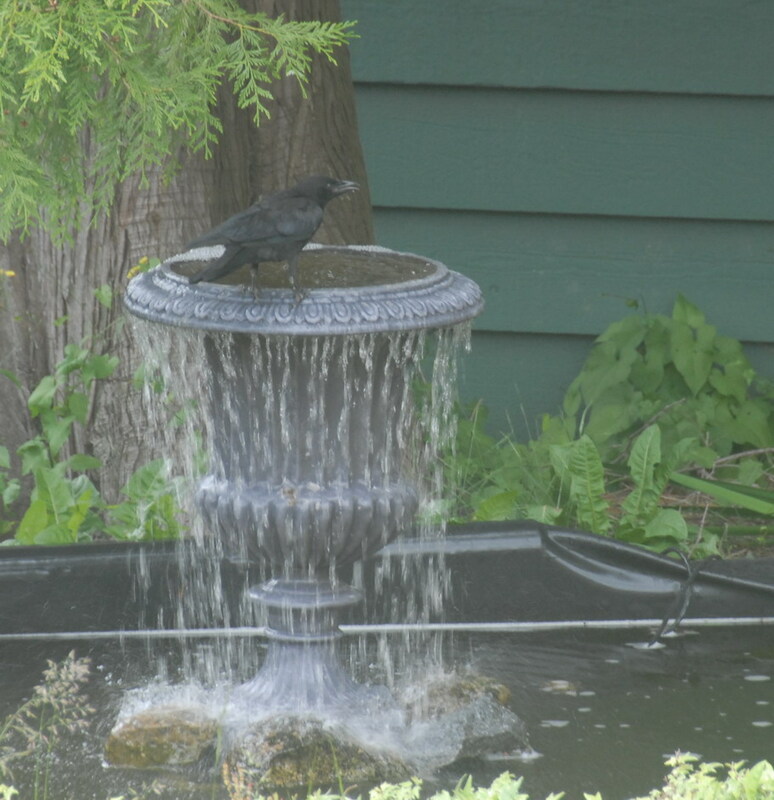 One of the things that intrigues me about crows is that they are always aware of what’s going on around them. While the small song birds seem to focus totally on food gathering and are ready to fly away at the slightest hint of danger, crows take time to play and chat, are always watching you out of the corner of one eye, will wait until the absolute last minute to get out of the way of approaching cars, etc. and are just as likely to try to scare you away than make an exit themselves.